Exhausted But Happy Girl Taking A Break On A Rock Cliff Above The Turquise Waters Of Attersee Lake, In Upper Austria, During A Via Ferrata Route, On A Bright, Sunny, Summer Day. Banque D'Images Et Photos Libres De Droits. Image 119144561. Banque d'images - Exhausted but happy girl taking a break on a rock cliff above the turquise waters of Attersee lake, in Upper Austria, during a via ferrata route, on a bright, sunny, summer day. 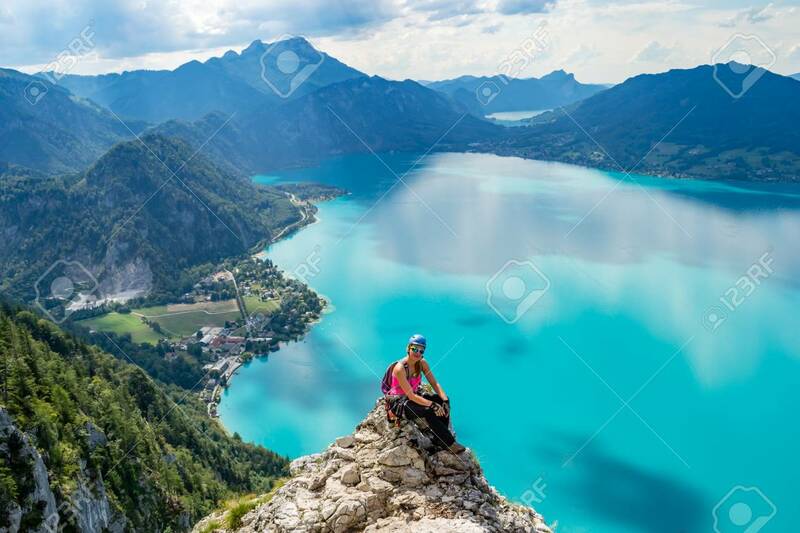 Exhausted but happy girl taking a break on a rock cliff above the turquise waters of Attersee lake, in Upper Austria, during a via ferrata route, on a bright, sunny, summer day.